Smudge’s Early Science is an online subscription service containing all of our interactive science activities for children aged 4 to 11 years old. 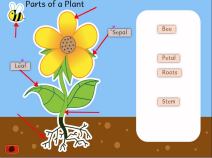 The activities will to help children develop their basic knowledge about science- such as naming parts of the body, or plants or animals or the life stages of different creatures; and also learning about the concepts, with simulation activities such as growing a sunflower, creating a sundial, using bottles to create musical sounds. The activities have been created by studying the updated requirements of the science Curricular in England, Scotland, Wales and Northern Ireland. 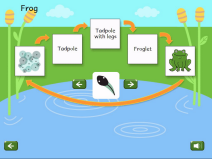 With schools increasingly using a mix of new tablets and mobile devices alongside existing classroom computers, Smudge’s Early Science uses the latest HTML5 technology, which means it can run on desktop computers, whiteboards just as well as on an iPad or Android tablet. The software is also available through RM Unify.